Ever wanted to know which way of coding your GameMaker: Studio project will run faster? Want to understand GML better? Use Simple Performance Test to compare two blocks of GML code, and prove which is faster. Don't guess at which code is better optimized, test it and know! Share your tests with others and let them confirm your results! Settle arguments! 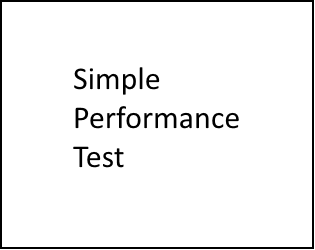 Simple Performance Test will always be free! Free to use, modify and share!